Nearly half of IT spending was cloud-based in 2018 and that figure is expected to reach 60 percent by 2020. Cloud computing is a collection of servers and equipment housed in external data centers run by a third party provider. The servers perform different functions. Some store data, some perform computing functions, and some run applications (e.g., software as a service). CIOs around the world have figured out that there are numerous advantages of doing business in the cloud. If you’re not yet on the cloud bandwagon, here are four reasons you should consider making the change. The average lifespan of computing equipment is three to five years. That means a large capital outlay every couple of years, along with upgrades to related equipment and software so that it all works. And who does that installing, upgrading and configuring? Most likely an in-house team of server administrators, systems engineers, and other IT staff, all of whom compete in a highly competitive hiring environment and usually come with a hefty price tag. Now add in the costs of an onsite, secure data center, and you’ve just exponentially increased your costs. One of the main reasons businesses move to the cloud is to decrease costs. By sharing a pool of servers instead of buying and maintaining their own, and by relying on an outsourced IT staff and data facility, companies dramatically decrease capital and operating expenses. It also opens up other cost-saving opportunities such as moving telecom services from landlines to VoIP. Because data in the cloud can be accessed by anyone (with the proper credentials) from anywhere, entirely new service niches have opened up. One growing service is social media response rooms. These enable companies to perform customer service functions over the Internet in real time. Another is the use of emergency response centers. Now, local municipalities, schools, disaster, and voluntary aid organizations have the ability to push out mass notifications to a variety of devices across multiple locations. And how could we have survived without remote access software, which lets you access your devices and files from other locations? Cloud computing gives software developers access to diverse software services without the need for huge capital investments. That means software features that were a low priority because they would’ve taken too much time to develop are suddenly achievable. The result? More robust features and improved user experience. Service uptime and reliability will always be critical to customers. 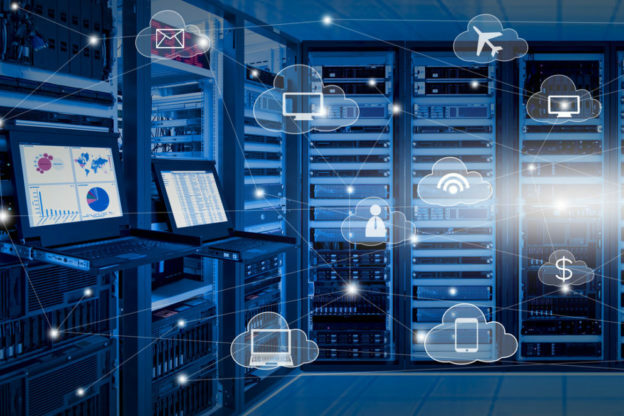 Generally speaking, third-party data centers with climate-controlled environments, robust security, and 24/7/365 monitoring are more reliable than in-house server rooms. Data security is the holy grail of modern IT. If your company doesn’t specialize in IT, there’s a good chance your IT team will make mistakes along the way. Configuration errors, lack of monitoring tools, and use of legacy systems can all put your data at risk from hackers trying to steal sensitive information. Any reputable cloud provider will have studied and know how to deal with hackers and DDoS attacks, and they have the experience and systems in place to prevent or quickly mitigate breaches. They also have the resources to pass SOC, PCI, or HIPPA compliance audits, which are costly endeavors for any one business to manage. Navigating the IT landscape can be daunting. To help you get started, we invite you to contact us for a consultation.